We advise you not to use your profile page as your portfolio because you cannot control who can look at the information you make available on your profile. At minimum it is everybody in your institution or who has an account on Folioz. At maximum it can be everybody online. Always remember to think about your own personal security before releasing contact information on a publicly available page or even just for other Folioz users. Use regular pages to create your portfolio, and then use your profile to make these pages accessible to other people and to establish your digital identity. You must provide a first and last name. All other information is optional. You name is visible to other Folioz users. You may choose to have a Display name. 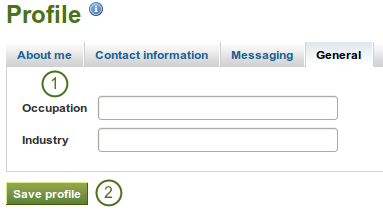 You can change the information here at any time unless an administrator locked certain fields. Display name: The name by which you want to be known around Folioz. If you have a display name, your real name will not be visible to regular Folioz users. Only administrators can see your real name and your username at all times. Provide as much or as little contact information as you wish to be able to use in your portfolio. 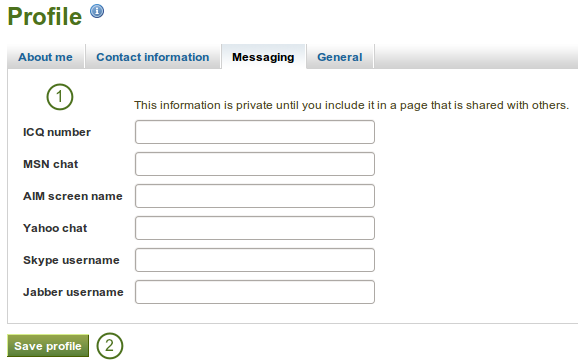 The email address with which you registered on Folioz is displayed. 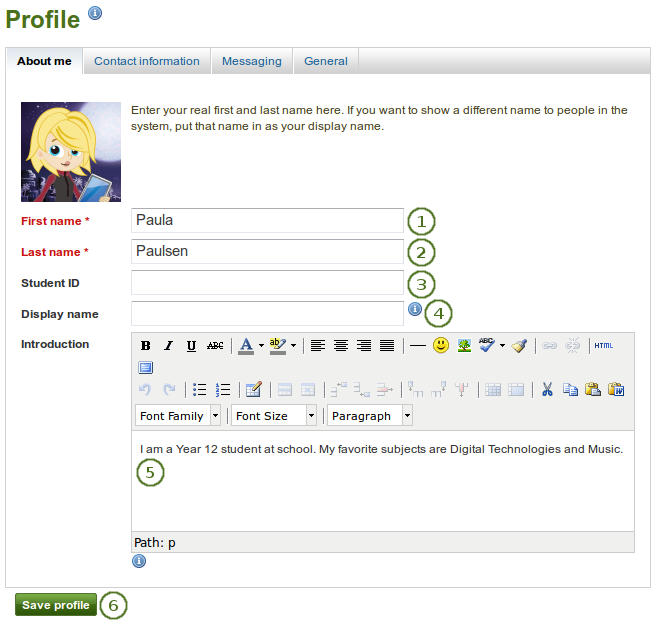 You can add other email addresses to your profile so that you can use them later on. When you add a new email address, make sure that you do not only click the Add button next to the field where you enter your address, but also the Save profile button at the bottom of the page. Once you have added an email address, it needs to be verified. 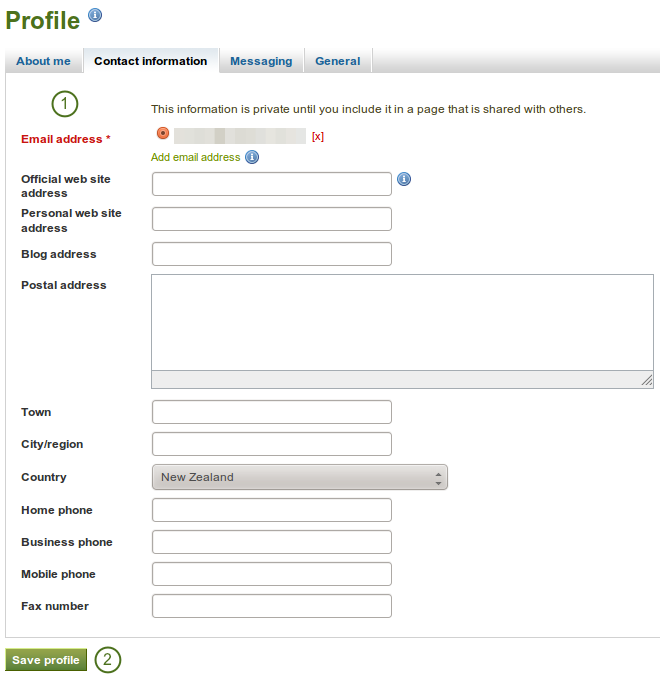 You will receive an email and need to follow the instructions to fully add your address to your Folioz account. If you use instant messaging services, you may wish to provide the details here so you can use them in your portfolio later easily. Provide the usernames for as many messaging services as you wish to display in your portfolio. If you wish to use information about your occupation and / or industry repeatedly in your portfolio, you may wish to consider filling in the information here. You can then easily pull that information into your portfolio pages.